The Joint Polar Satellite System-1 (JPSS-1) satellite, the first in a new series of four highly advanced National Oceanic and Atmospheric Administration (NOAA) polar-orbiting satellites, is now scheduled to launch on Tuesday, November 14, from Vandenberg Air Force Base, California. 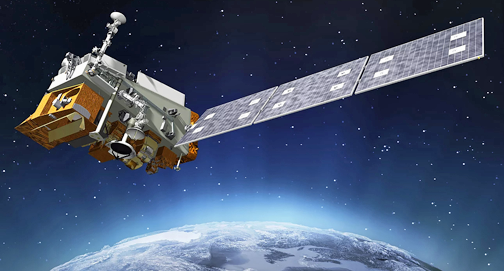 Artistic rendition of the Joint Polar Satellite System-1, or JPSS-1, spacecraft designed to provide forecasters with crucial environmental science data to provide a better understanding of changes in the Earth's weather, oceans and climate. Image is courtesy of Ball Aerospace. Liftoff aboard a United Launch Alliance Delta II rocket from Space Launch Complex 2 is targeted for 4:47 a.m. EST (1:47 a.m. PST). Launch coverage will begin on NASA Television and the agency’s website at 4:15 a.m. and will conclude following the smallsat deployments. Pre-launch and launch day coverage of the JPSS-1 flight will be available on http://www.nasa.gov. Coverage will include live streaming and blog updates as the countdown milestones occur. Follow countdown coverage on NASA's launch blog at https://blogs.nasa.gov/jpss.